One of the highlights of 2012 was my weekend in Bathurst in October to celebrate the launch of Amazing Bathurst, a collaborative project undertaken by local business operators, passionate about offering world-class experiences in the heart of the Central West. It was such a pleasure to be a guest at this wonderful event and I must say one I will not forget. Christine Le Fevre owner/operator of Bishops Court Estate Boutique Hotel had very kindly invited me to attend the lunch and stay the weekend. Amazing Bathurst’s first project came to fruition on 13th October – supporting All Saints Cathedral to raise funds for the restoration of its historic bell tower. 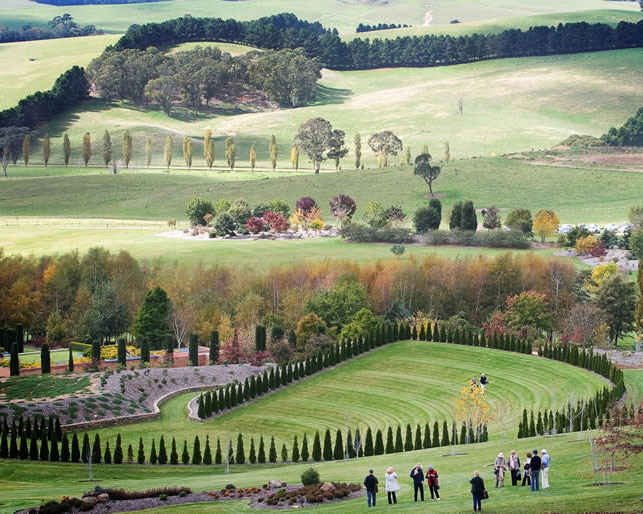 The event was held at the private chapel of the magnificent Mayfield Gardens near Oberon, one of the largest privately-owned cool climate gardens in the world, nestled within a 5,000 acre working farm. Christine came up with the concept of ‘The Country Larder Leisurely Lunch,’ a totally unique spring event that was aimed to bring people together to literally break bread and share good food, wine and the passion of Amazing Bathurst. 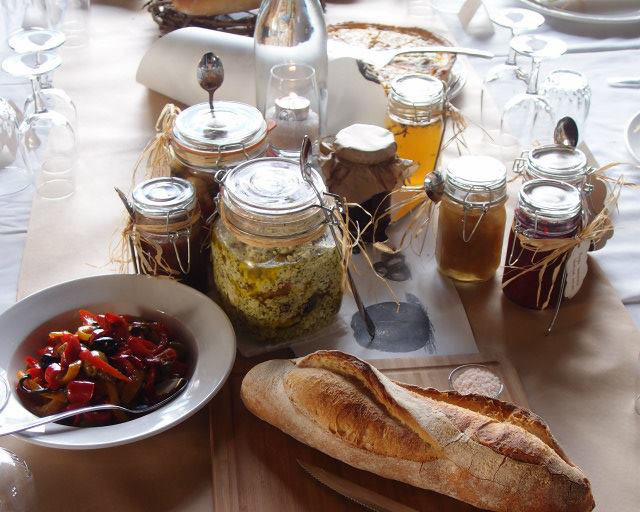 In true country style, the lunch table was set with traditional jars full of preserves, condiments and other delicious things all made with passion from family recipes. “We wanted to celebrate traditional values and local produce, so the starting point was to bring a team of volunteers from All Saints to my kitchen at Bishop’s Court to make everything from preserves and terrines to freshly baked country tarts from old heritage recipes. We made everything from marinated local cheeses, figs infused with earl grey, citrus and thyme jelly, cranberry and onion jam and beetroot relish just to name a few, all presented with handmade tags and labels explaining their history to really conjure up the sense of a true country larder,” Christine said. In the chapel, guests were seated at tables laden with an abundance of country larder, local wines and homemade lemonade. Bishop Richard Hurford broke the first loaf of bread and everyone proceeded to share the preserves around and settle in for the leisurely feast – all prepared offsite with passion and transported with care to the chapel. Local author and gardener Mary Moody, who lives part of the year in France, was called on to MC the event and ensured that all 90 guests enjoyed plenty of French-inspired conviviality. We had many of our Amazing Bathurst members on board – wine was provided by Renzaglia, Vale Creek and 3 Views Wines, along with Stone Pine Distillery. 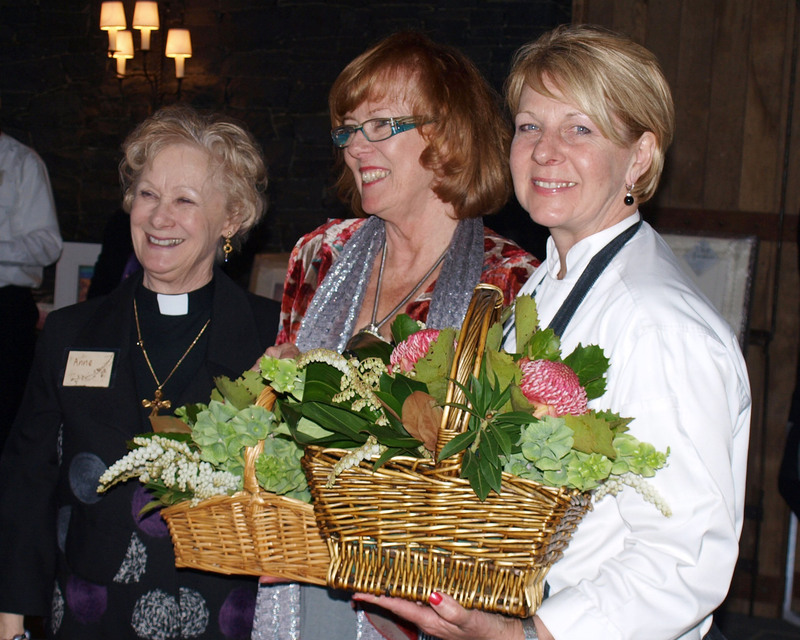 Legall Patisserie baked 60 loaves of bread and provided their sensational pastries for dessert and the meal ended with coffee from Fish River Roasters and gorgeous sweet treats made lovingly by the Anglican ladies. Christine had invited two very talented musicians Rob Shannon and Veren Grigorov to play guitar and violin throughout the meal, which created a wonderful ambiance. Thank you, Christine for the invitation, I am looking forward to promoting Bathurst this year and coming back to your beautiful hotel. It is one of the best places I have ever stayed in Australia and I could easily compare it to some of the boutique hotels in Europe. Readers, put Bathurst and Bishop’s Court on your itinerary this year, as it is definitely worth the drive over the mountains to experience the hospitality, food and wine of the Central West. Read more about Bishop’s Court Estate here.